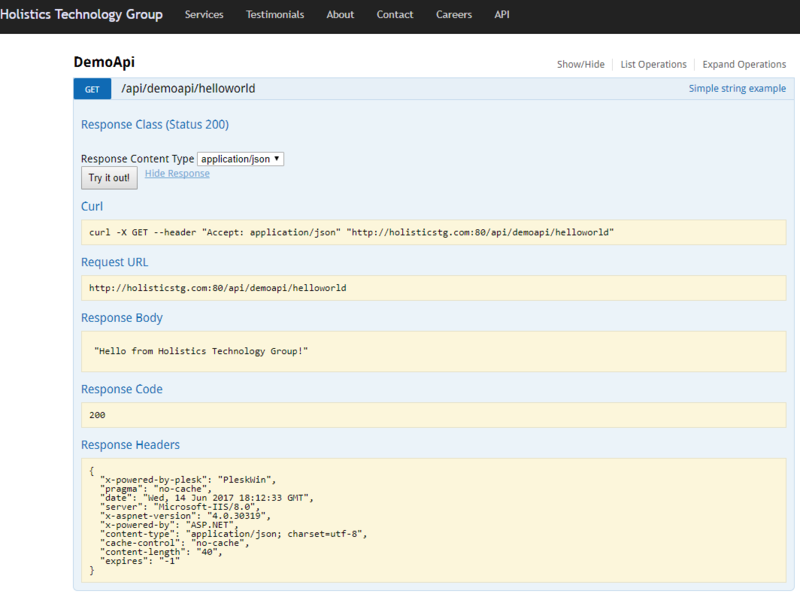 So you've built yourself a ground-breaking RESTful .NET Web Api that's effectively going to change the world... awesome! You've even sold and marketed the idea to maybe your boss or potential client... fantastic! And then they ask you for documentation... oops! You're not alone, developers are notorious for "saving the world" with their code and yet always seem to overlook the obvious. But fear not! Well not only does Swashbuckle allow you to have very nicely formatted documentation, it will also handle auto-generating interactive test cases for you so your consumers can easily play around with your Api while they're familiarizing themselves with it's overall usage. "Ok, I'm sold. How do I set this up for my Web Api?" Open NuGet package manager within Visual Studio and install "Swashbuckle.Net45"
After the NuGet package is installed, you'll notice a new file has been added to your "App_Start" folder called "SwaggerConfig.cs" This file allows you to customize various aspects of your generated Swagger documentation, we'll dive more into that in a just a bit. For now, you can simply use your browser and point to the root url of your api and append it with "/swagger"
Now that we have Swashbuckle wired up properly, we'll want to configure it to read in our XML code comments. This is where the SwaggerConfig.cs file comes into play. But first we'll need to tell Visual Studio to actually save our XML comments into our bin directory. Then open up SwaggerConfig.cs and un-comment the line that contains "c.IncludeXmlComments" and supply the path your actual XML file name you set just above. Swashbuckle is very configurable and we have only scratched the surface of what it can do, but this should be enough to get you up and running. You can find out more information at the Swashbuckle GitHub site. Awesome job and very informative post. Here, at essaypa we salute you. This is great article. Thanks for sharing!!! If you are on the road to document your existing api or take a design first approach, swaggerhub is a great resource. I study your articles every day. And to me, they're useful. I was assisted by the article about theme at-most. I know a website CheapPaperWriters.com With answers on interesting issue. I lately wrote an essay and also this article relating to this topic contributed me to the results that are great results like https://personalessaywriter.com/movie-review/ I would really like to read more such posts. Several times ago I bought an essay about this. If it was seen by me before I would write the essay Custompaperswriter.com by myself. "Ok, I'm sold. How do I set this up for my Web Api?" Hi. Whether you're a cord-cutter or simply trying to tune in while in transit, these live streams will ensure you won't miss a thing when the Oscars ceremony airs live on Feb. 26 at 7 p.m..
Watch live streams of the 2018 FIFA Men's World Cup in Russia at FOX Sports, plus highlights, schedules, standings, stats, teams, players, and more. Wonderful post. is it possible to do the this swagger with my own api of blogger or wordpress at smartcric.com? 2018 State of Origin Tickets. Tickets for the 2018 State of Origin game 1 and 2 are on sale with tickets for game 3 going on sale in early 2018. The tickets are available via Ticketek Australia. See https://tickets.nrl.com/origin for more details. 2018 State of Origin kick-off / International Viewing TV and Radio times. Game 1: New .. The 2018 FIFA World Cup Live Stream. Next up? The draw, early Friday morning, to set up group play for the tournament, which runs next summer, from June 14 to July 15 in Russia. The 32 teams that have qualified for the tournament are divided among four pots, based on the October 2017 FIFA World Rankings.